Pearl & Pear's wonderful curated suppliers (including me!) have selected their favourite Christmas treats and gifts for a special Christmas competition. "Our wonderful Curated Suppliers, MonAnnie Cakes, Dani Pittorino as well as Ananya Cards have created the most divine hamper for you. Known for their luxury event styling it’s a hamper full of gifts you’d not want to miss. MonAnnie Cakes have included a variety of sweet treats and festive favourites to keep you snacking through the winter season. 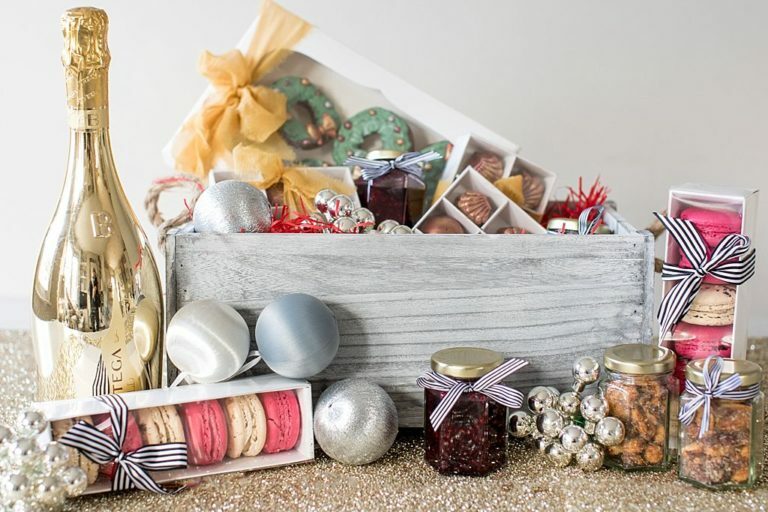 Treats include succulent jams, nuts, decorated biscuits and macaroons. As well as a golden bottle of fizz of course! All hand-tied beautiful within a grey shabby chic crate. Dani Pittorino, known for hosting the most divine parties around the world includes a gorgeous White Company frame. The perfect mantelpiece accessory to hold your memories! Last, but not least, Ananya Cards, luxury stationers, ensure you won’t forget your loved ones Christmas cards this year. Inside you’ll find 10 crystal embellished cards in a variety of designs." For a chance to win, click here.